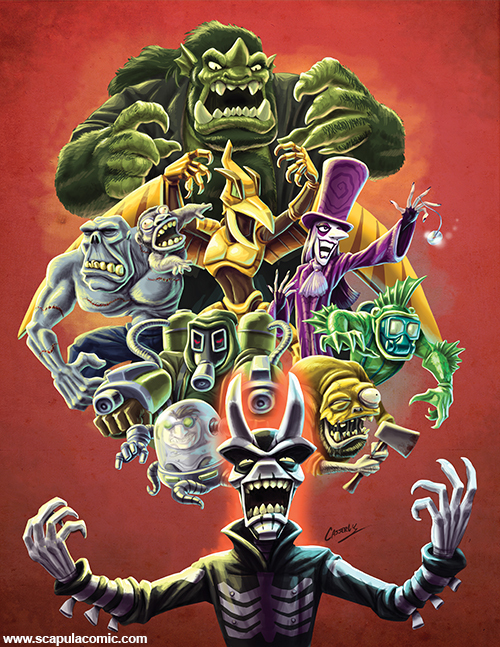 Comic creeps and freaky fans, I hope you have all enjoyed the Giant Attack Monsters Mega-Battle story; if you like what you’ve seen so far there’s more ghoulish goodness to be found in the new comic book Scapula and the Sinister Monster Doom Legion! It’s been great to return to Scapula after all of this time (especially for the tenth year anniversary of the series), and I’m extremely grateful to those of you who helped make this comeback happen. To the kindhearted Patreon supporters to the extremely-generous Kickstarter backers to those who just bought the book on a whim, you have all helped me create the comics I love so very much. A Behemoth-sized thanks to all of you! If you wish to see more of Scapula, just mosey over to the Store section of this site or catch me at my next convention to grab the new issue. If you already own it (thankya again! 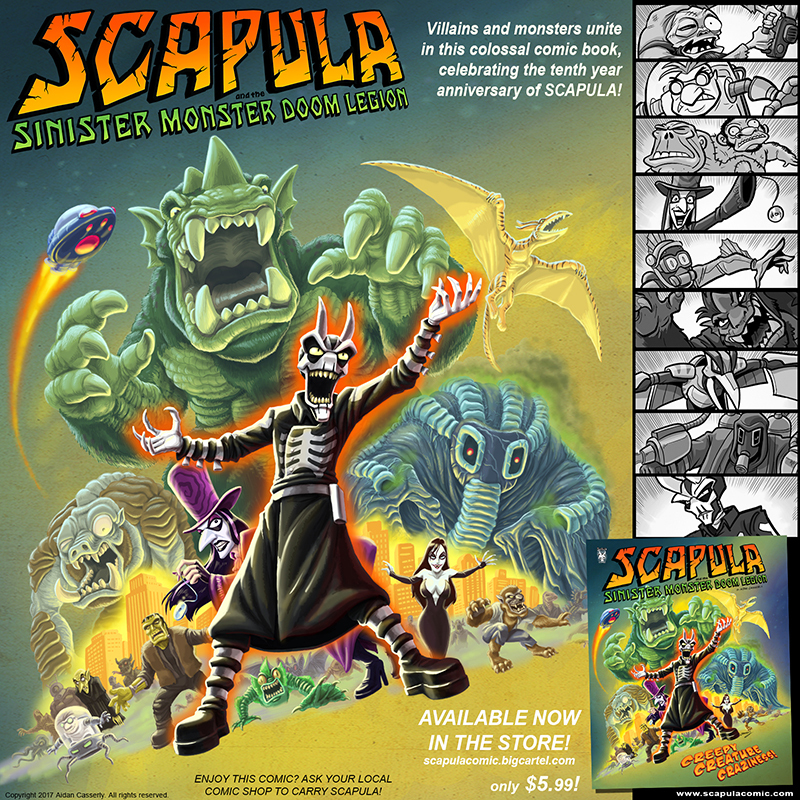 ), please let your friends and social network know about Scapula or even ask your local comic book store if they’d be interested in stocking this issue. Every bit of support makes a huge difference and, as I’ve already said, I couldn’t be doing this without you. What’s next for Scapula? 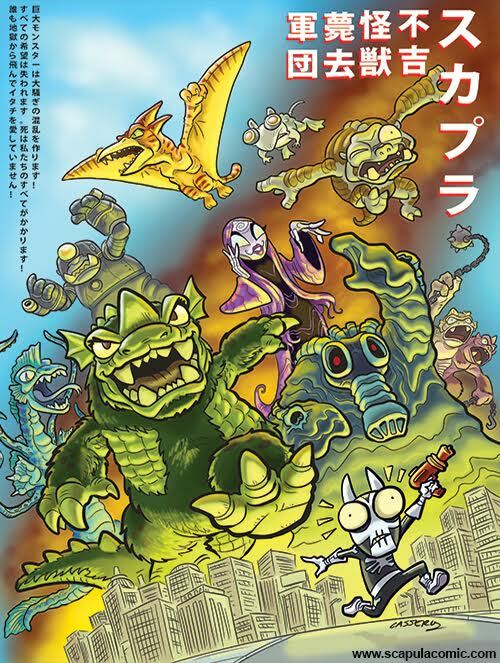 Those of you who own the new comic have likely read the teaser page at the end; there is a new issue in the works, and while the release date hasn’t been solidified yet, I will be posting news and progress on my Patreon page (and occasionally the Facebook art group); feel free to follow along and see what’s next for Scap and his creature crew. As I’ve said before to you longtime readers, the worst is yet to come! Happy to give what little I could. It’s so rare these days that someone makes a comic I actually care about! It’s like the fine art of entertainment in comics is getting slowly lost…… like so many others. Great to hear! Your support is very much appreciated, Trev, and here’s hoping others will enjoy the comic as much as you and Jenn did. If anyone enjoys it as much as Jenn did I worry for their sanity, lol!